Learning to read is a big part of all our lives. Whether you are the child learning or the parent/adult doing the teaching, it can sometimes prove to be a difficult task. I think what we all need to keep in mind is that reading is just an extension of our inaginations and it should be an activity that remains fun and engaging. 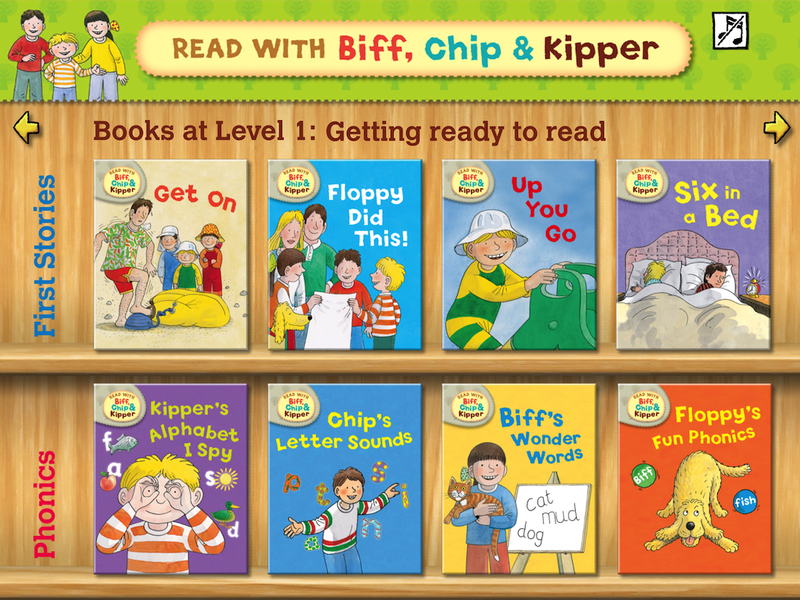 My 4 year old, Gracie, started primary school in September and like her sister's before her, she is learning to read using the Biff, Chip and Kipper books from Oxford Reading Tree. I have been reading these books with the kids for so many years now that many of them I know off by heart. One thing that has become different in recent years is the introduction of iPads in schools. So it is no surprise that a new app has recently been released with our favourite book characters. 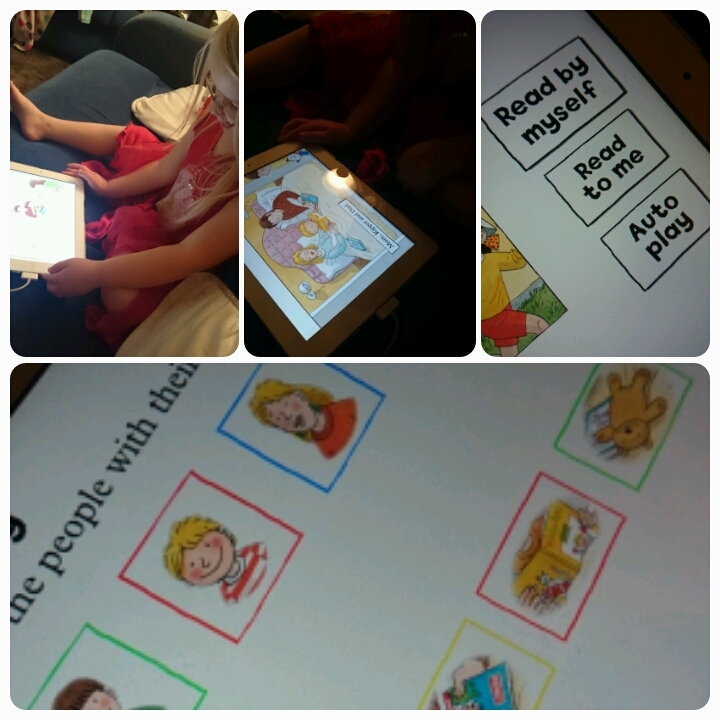 Across two apps, there are six levels of reading and phonics books. Each level contains four reading books and four phonics books, that's 48 books in total. These book complement those used at schools, infact the first book we read, Six In A Bed, was actually one that Gracie had just bought home from school. There are three different modes of play, autoplay where the book is read to your child or options for your child to read it themselves or you the parent to read to them. It is nice that you can use the apps to do something together with your child or let them gain a bit of independence by having a go without help from an adult. And just like the real books, each book on the apps shows common words used and features puzzles and activities at the end to help reinforce what your child has just been reading. In addition to the reading, getting the children to tap on the screen, move things around, follow mazes actually helps encourage their gross motor skills too. What I found particularly helpful was the hints and tips for parents on how to encourage the child to not only read but get their imaginations working by explaining what was happening in the stories. Some of you may think that it is obvious how to do this but when you are reading the same books day in day out, I think as a parent can lose the enthusiasm needed to keep the kids interested in what they are doing. Gracie has never been one to sit down and concentrate but she loves to use the iPad, this meant the roles were reversed and she was the one asking me if she could do some reading instead of the other way around. The app is available on Google Play, iPad and iPhone and Windows store. The app itself is free giving you two free level 1 books to get you started and at the moment the level 1 - 3 books can be purchased at a discount price of £3.99. A bargain when you think of what you pay for books individually. These apps would come in handy if you have a child who is reluctant to pick up a book but just as good for those with kids who love to read. Disclaimer : I was sent a voucher to download all the books for free however all thoughts and opinions are my own.